Ohio State University stunned the University of Oregon in Monday night’s College Football National Championship Game Presented by AT&T, and 7 million Facebook users were responsible for more than 21 million interactions (posts, comments and likes) on the social network Monday night related to the game. Zeke Elliott’s fourth touchdown run late in the game seals the victory for the Buckeyes. The final whistle blows, giving Ohio State the title. Marcus Mariota overthrows his receiver on fourth down with under three minutes remaining in the game, effectively ending Oregon’s chances at a comeback. Ohio State ties the game at 7-7 after a 33-yard touchdown run by Elliott. Readers: Did you interact on Facebook during Monday night’s game? 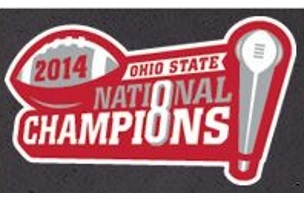 Images courtesy of Ohio State University Football Facebook page.